Adrian the Locksmith works 24/7 providing the full range of locksmith services from fitting and replacing locks to insurance approved BS3621, and also offer full security surveys. Adrian has a customer focused organisation and works to the very highest standard plus offers 12 month guarantee on all work carried out. He works with both commercial account customers and domestic clients and much of his work comes through recommendations and repeat business. No job too big or too small and he is happy to take a call for free quotes and advice. He does not have a call out charge. 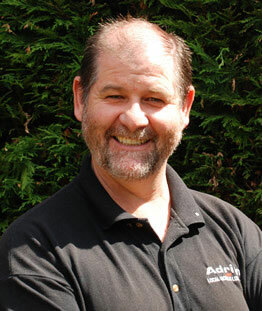 Adrian is highly respected and a reliable locksmith who lives and operates in around the area of Horsham. Adrian has lived and worked in and around Horsham all his life. Originally from Warnham where his family have lived for over 75 years. He done a city of guild apprenticeship in engineering at Niel and Spencers in Horsham making Dry cleaning machines. Then travelled the world for a few years before getting into the construction industry were he worked for a local builder, then onto a firm of builders on the Railway as a carpenter. At the age of 39 Adrian went on his own, putting £20.000 on his mortgage he set him self up and trained as a locksmith and he has not looked back. Adrian, Horsham’s locksmith is available 24 hours a day to provide the locksmith solution you need, including emergency lock changes and door repairs. Whether you have lost your keys, or are the victim of a break in Adrian can help, and with no call out charge.